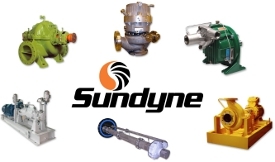 Sundyne family of pumps (Sundyne, HMD Kontro, Sunflo & Marelli) have been adopted by companies of all sizes who are looking to gain a competitive edge in their marketplace, from well recognized Fortune 500 brands to small regional operators. Recognized for the reliability and efficiency, Sundyne products represent a value-added solution for all manners of process industry application. Whether you require a custom engineered centrifugal pump or want to explore the operational benefits of sealless technology, the Sundyne portfolio has something to suit your workflow. API 610 & API 685 compliant. High temperature & high suction pressure capability. Horizontal, vertical, multistage, submersible and double volute designs.